The 3040 Series Panic Switch activates the SPDT switch (SPST on the 3045 model) when the user pulls the actuating lever. 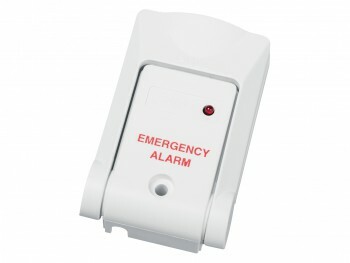 On the 3040 model, an external LED lights and latches, indicating that the alarm circuit has been activated. The lever is closed first to rearm the alarm switch, then the latching LED circuit is reset externally at the host panel. The 3045 model has no LED or latching circuit.